At Hort Americas, LLC we are dedicated to playing an integral role in the different niches of commercial horticulture. We work closely with manufacturers from around the world to bring the highest quality, technically advanced and most cost effective products to the greenhouse growers in Canada, the United States, the Caribbean and Mexico. Industry Leading Knowledge in Commercial Hydroponic Vegetable Production, Vertical Farming, Urban Farming, Urban Agriculture, Engineered Substrates, Fertilizers and LED Grow Lights. Hort Americas is currently manufacturing orchid substrates, hydroponic fertilizers and is a trusted Horticultural LED LIGHT Grow Supplier. 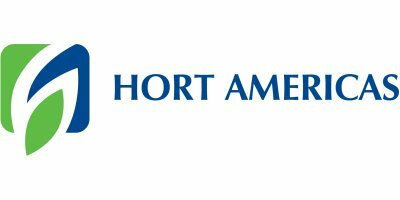 Hort Americas is also a well trusted partner of GE, PL Lights, Sharp, Grodan, Riococo, Bato, Netafim and many other industry leading suppliers. Headquartered in Fort Worth (Texas, USA) Hort Americas has partnered with the Dutch Company Horticoop Bv (see www.horticoop.com for more info about the parent company) to insure top level technical support, global perspective and corporate stability. Hort Americas also has staff strategically located to make sure we reliably service the local needs of our customer base. To become North America’s leading horticultural supplier of goods and services. To link the global manufacturers and providers of horticultural goods, services and technologies with the North American greenhouse grower/distributor community timely, efficiently and effectively.